Blog — Breathless Paper Co.
We've had a busy few months of what's known around our house as "birthday season." Me (Jess), Matt, River and Scout all have birthdays within the same few months in the summer, and as hectic as it is it's so so fun to get to celebrate all of my favorite people. I wanted to share with you some snapshots from all these celebrations, because sharing little tidbits of my family with you all is something I just love. Plus, birthdays are probably the most notorious time to give a card and write a handwritten note to someone you care about. We think that's so special, and we're glad to get to be a part of that tradition. See some of our favorite birthday cards below, too! For my birthday, I was gifted my favorite things from my favorite people: flowers, and the sweetest handwritten notes. Posted on August 21, 2018 by matthew berinato and tagged birthdays birthday birthday card greeting card paper company paper goods stationery breathless paper co breathless family kids nashville. How is it already August?! This summer has been jam-packed and wonderful. 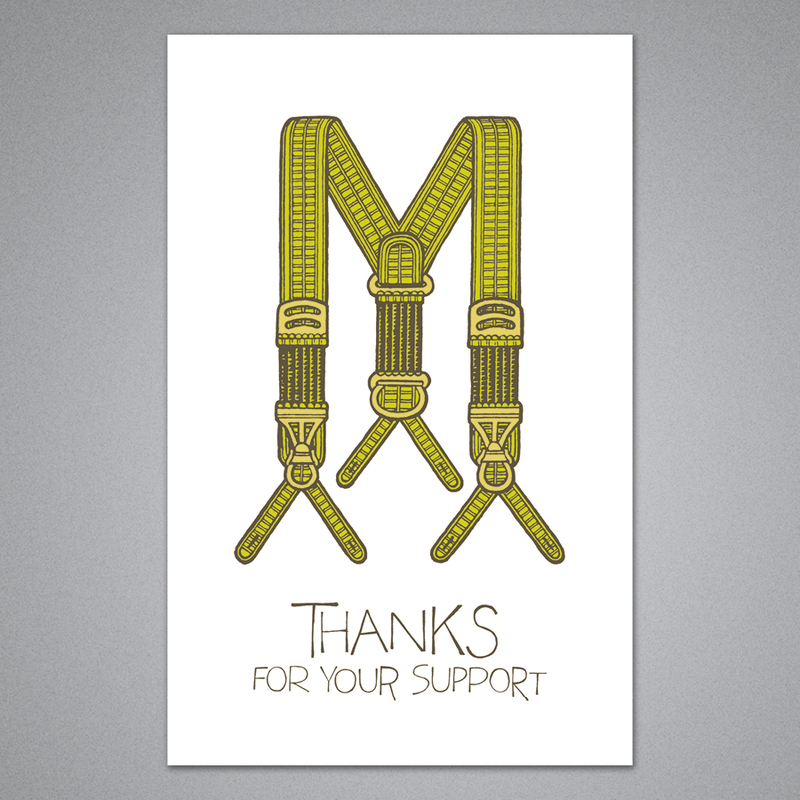 We just want to say one more HUGE thank you to all who made our July trade show so great. Seriously, we couldn't do this without you guys! We've loved getting to spend some quality time with our little ones this summer, and we've had a blast seeing live music in our city. We've also gotten tons of tickets for upcoming shows this fall -- needless to say, we're feeling incredibly grateful. Looking back on these past few months, I feel so full. This month, we've chosen "My Heart Beats for You" from our Breathless collection a our Card of the Month. Why? Because of all the love we feel so lucky to be surrounded by right now -- from family, friends and each and every one of y-o-u! This card is a special one that is as fun as it is meaningful. Plus, we love the vintage look! Send it to someone you love and make their day. Posted on August 1, 2018 by matthew berinato and tagged august card of the month nashville paper goods paper company craft paper goods. This year though, one of our favorite parts was getting to share the space with some wonderful companies, and exploring some of the other incredible brands on our floor and others. I'm pumped to share with you some of what we found... because you're seriously missing out if you don't hop on board with these makers. All-natural beauty goods are all the rage right now, and I'm here to tell you that Green + Lovely is absolutely nailing it. Her responsibly-made beauty and skincare products are my new favorite thing. I got the detox facial grains wash and a clay mask. Both are to die for. My top pick, though, is the bee herbal cream. It works unbelievably well and it is not greasy (which is a BIG deal!) I have definitely found my new skincare line! Jackson Morgan Creamed Whiskey for happy hour (salted caramel flavor) Everyone loved it, and was looking up the closest place to grab their own bottles. White's Elixirs Moscow Mule mix is always so fun to serve during happy hour, too. Customers love his mixers, and we do too! Pie Provisions is a new company that one of my maker friends and I saw in the "Gourmet" section of the show. Their branding is fabulous and their product could not be cuter! They put everything you need to cook a gourmet pie into the cutest package. This is my new favorite gift idea! I had heard about Bogg Bags before, but finally got to checked them out at the market. The company shared a booth with one of our dear friends and collaborators, Beer Greetings! These are totally fantastic and I will for sure be getting one ASAP. Heirloomed's newest "Simple Blessings" line is one I have fallen in love with and I cannot wait to get my kids in a new apron! 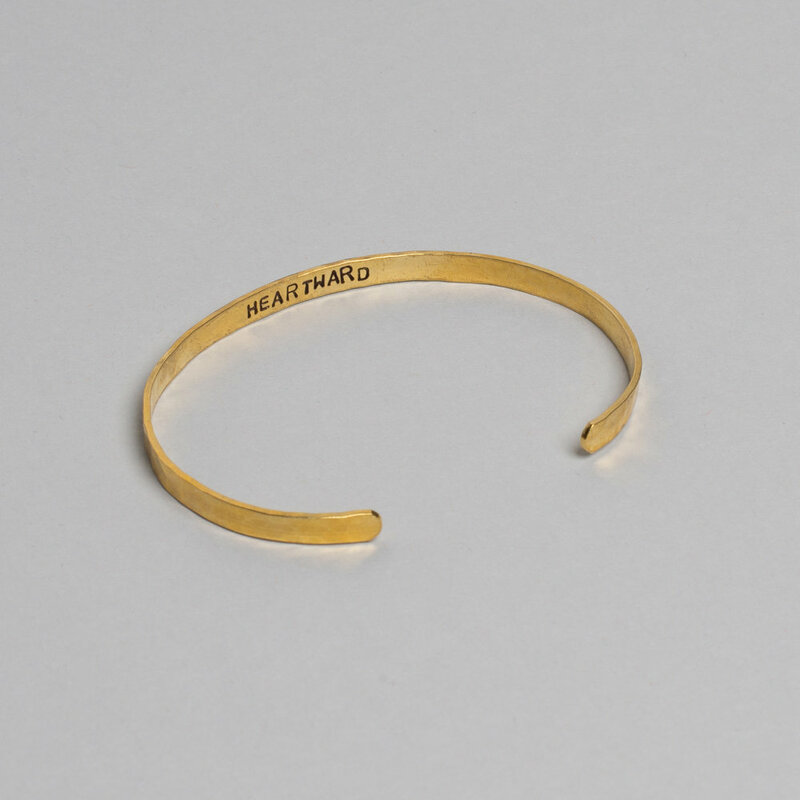 Really, the best part about this July Market was the launch of our new sister company, Heartward. My business partner and friend Heather and I worked so hard to get things up and running, and it was so fun to see how much everyone loved it. I cannot wait to start shipping all the orders out. Thanks to all who stopped by our booth... we seriously appreciate each and every one of you. Posted on July 24, 2018 by matthew berinato and tagged trade show atlanta americasmart wholesale new products greeting cards cards heartward bogg bags beer greetings white's elixirs jackson morgan creamed whiskey green + lovely pie provisions. This week, from the 11th to the 15th, Breathless Paper Co. will be at AmericasMart for the July gift show. This year is extra special, though, because we're bringing along with us our new company, Heartward, for their wholesale debut! 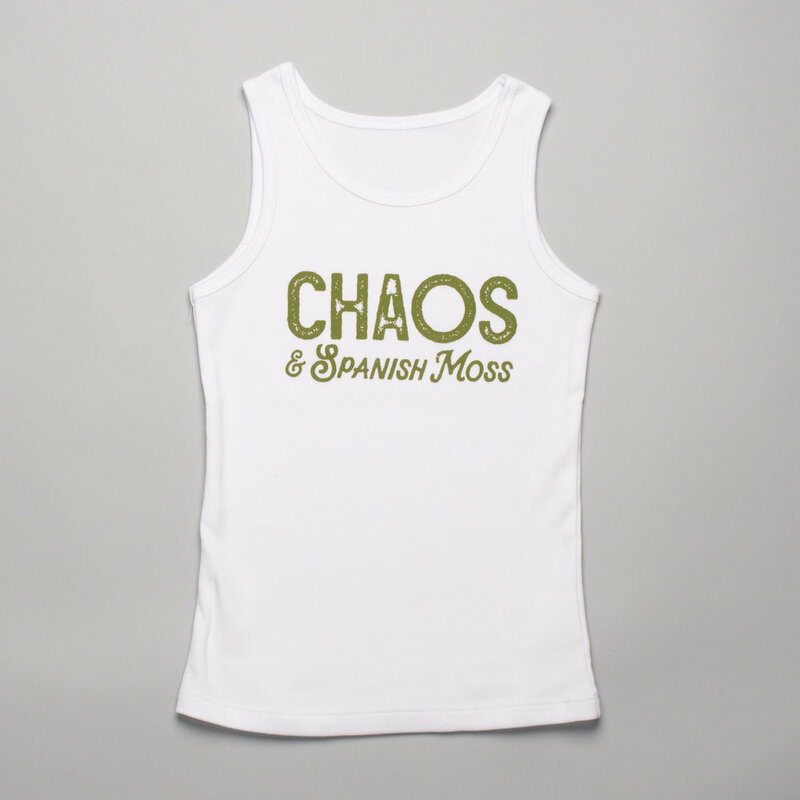 They'll be showing off their kids tees, line of cards, small-batch jewelry and patches. Seriously -- you don't want to miss it. Every single piece is made with so much heart, and it shows. We'll also be showing our new card lines and collaborations. We're so proud of them and we can't wait to get you guys all stocked up. Come visit us to chat and check out what's new! Find us in the West Wing, building 1, High Design booth #614. Posted on July 7, 2018 by matthew berinato and tagged atlanta americasmart gift show trade show breathless paper co heartward paper goods paper company. It's been one whole year since we moved into our house in Nashville. So much has happened in that year, and now our house feels like a home. We wanted to give you a "behind the scenes" look at our home and lives here in Music City, so that you can get to know Breathless Paper just a little better. I am slowly but surely changing the lighting. I recently added these kind of industrial pendants above our kitchen island and I adore them! The dining room table is one of my favorite pieces. It's the table I grew up with. My parents gave it to us and refinished it in a white, antique style and I LOVE having it! I installed a new light above it that I ordered from my mom's shop in Atlanta, Urban Cottage. Our foyer is a great, open space. All it needed was a simple metal drum shade light. We screened our back porch in, and it is our FAVORITE spot to be. I painted our half bath a great deep navy. I LOVE it, and it's a great contrast to the bright white woodwork throughout. Walking up the stairs I have two large bulletin boards where we display the kids' art. I love watching them pin their stuff up there. Also on display is our Needle & Grain "Nashville" pennant that I bought right after we moved. The playroom / band room is another family fave spot. Matt and the kiddos spend tons of time in there making music. Adele's is a favorite of ours. We love the atmosphere and the food is excellent! Bar Taco! It was one of our favorites in Atlanta, too and we used to do dates there, so it's pretty fun to get to do that here as well. I adore Caviar & Bananas for a date with the kids! 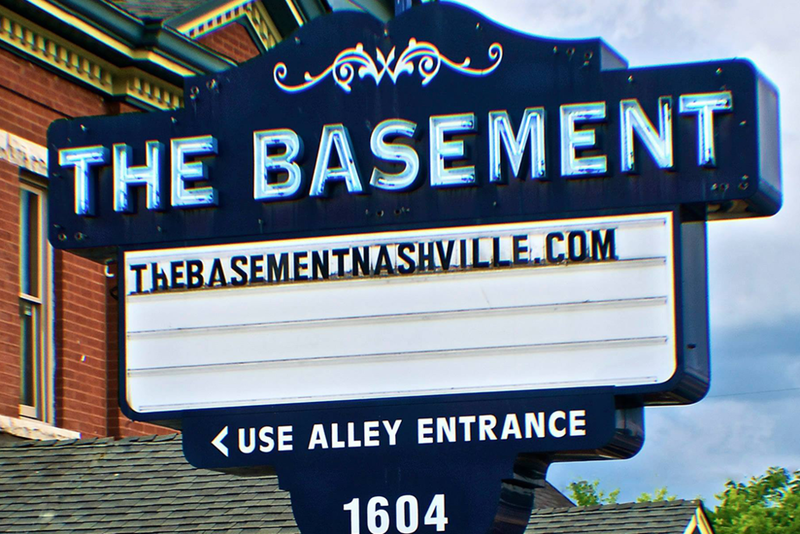 The Basement on 8th Avenue. It's a tiny hole in the wall with great beer. 3rd and Lindsley. It is a good size and you can sit at a table with friends and grab food too. The sound is awesome! Mercy Lounge is also great. It's not too big and you really can see from wherever you are, which is always a plus. Posted on June 21, 2018 by matthew berinato and tagged nashville home interior breathless paper co family kids paper company music city the ryman basement east east nashville 12 south caviar and bananas adele's bar taco mercy lounge 3rd and Lindsley. Dads! How great are they?! We think they deserve more than just a "day"... but we still intend to celebrate it in full force! We're sharing some of our favorite Father's Day card picks -- and you still have time to place an order on our site!!! They're designed with you in mind, and blank inside so you can fill with all your love and kindness. Click any photo below to order! To all the dads: thank you for everything you do. We appreciate each and every one of you. Posted on June 6, 2018 by matthew berinato and tagged father's day love notes more love notes love note challenge dads greeting cards paper company breathless paper breathless. I don't know about you, but it's H-O-T where we are! But we're pretty pumped about it, because we love summertime. Lemonade, swimming pools, backyard gatherings... it's our favorite. So, this month we chose our "Today is All Kinds of Perfect" card from our Deep Breath Two collection. It's one of our newest lines of cards, and we love the pop of color this card has! You know those perfect summer days that you wish would never end? That's what this card is for. 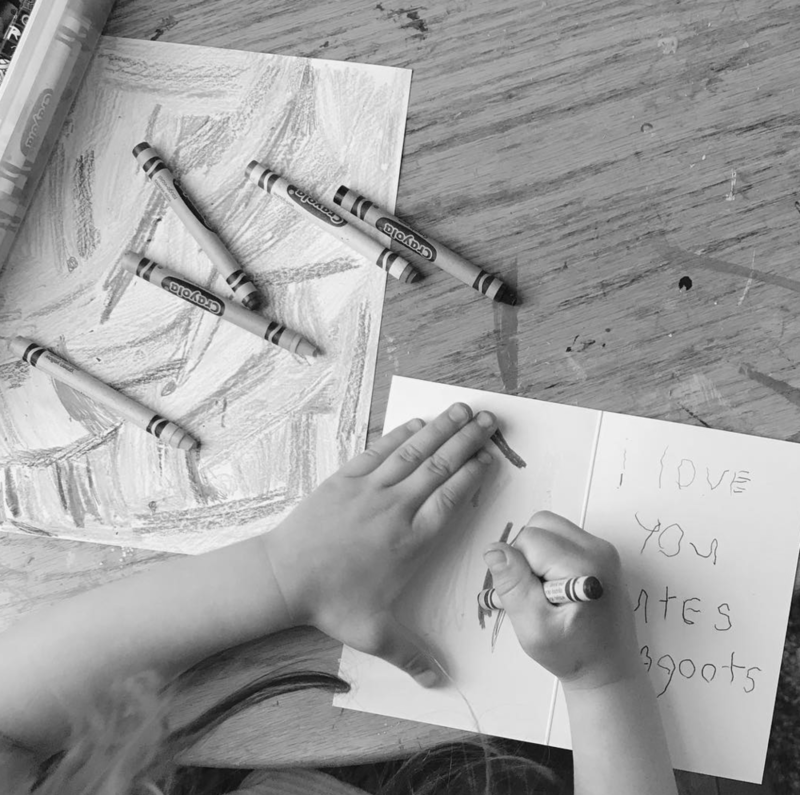 Send to a far away friend, give to the hostess at that backyard party, or get your kiddos to write a note to their favorite friend. Remember... there's never a bad reason to send #MoreLoveNotes. Posted on May 31, 2018 by matthew berinato and tagged card of the month breathless paper co breathless greeting cards. Don't Forget: Love Note Challenge! We're in the middle of the Love Note Challenge, and we're so ready to see even more of your sweet notes. Trust us... you don't want to miss a chance to enter the contest by sharing your notes. Not only is it fun for you (and us), if you win you'll get $300 worth of Breathless goodies! Need some inspiration? 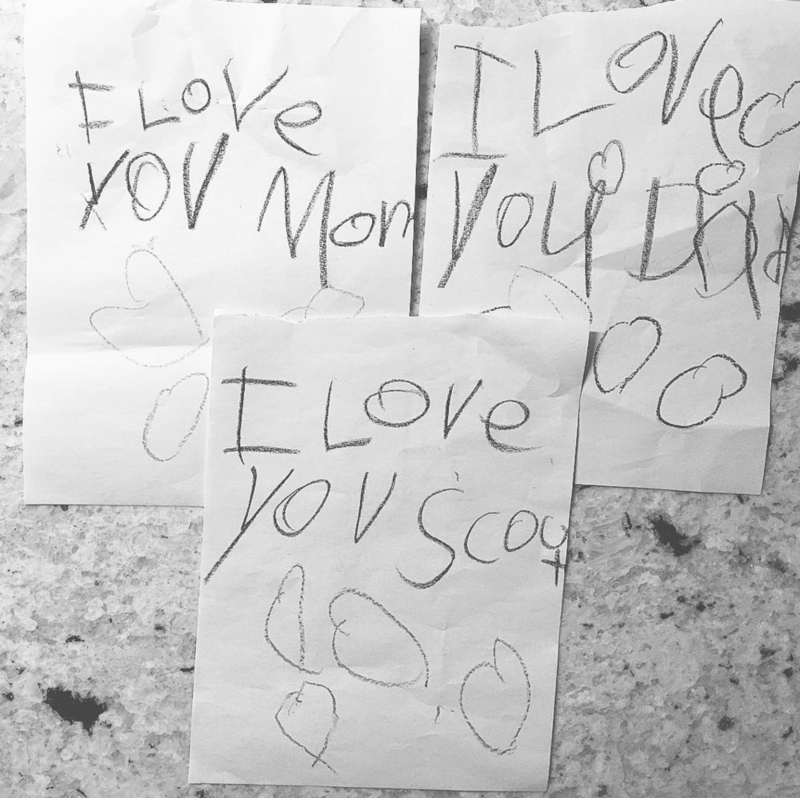 Check out some of our favorite notes from our little ones, and some contest entries. Posted on May 16, 2018 by matthew berinato and tagged more love notes love notes love note challenge breathless paper co greeting cards. 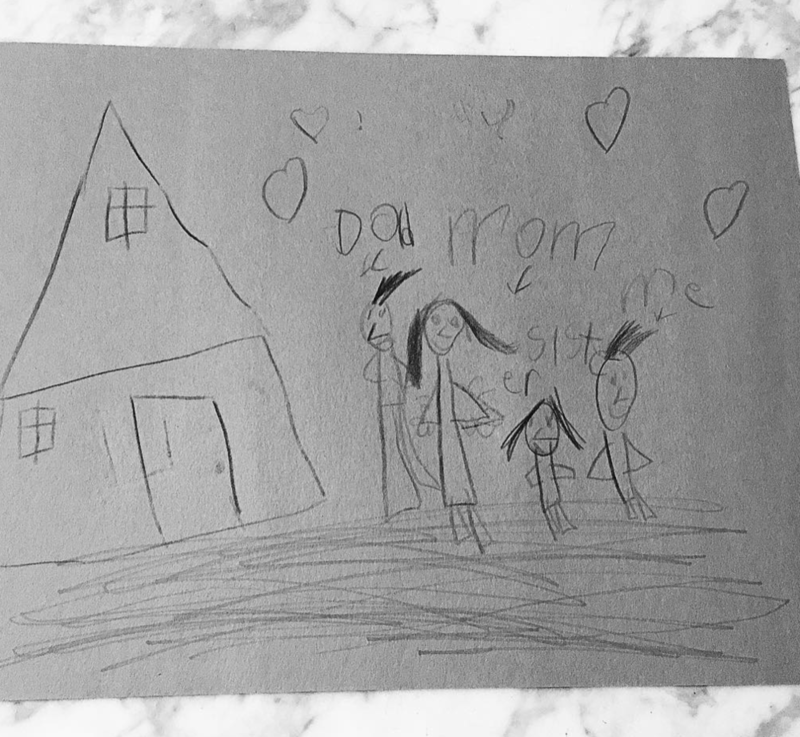 Mother's Day is a short few days ahead, and as a mom myself I have to say my favorite part is reading the notes my little ones write me. More than any gift, those notes are so important to me. Plus, it's pretty cute how into their art projects and note writing they get. Still need a card for mom? Not too late. Here are some of our faves that you can order NOW! And, as always, they're blank inside -- so you can write your own love note. Mom, Thanks for Your Genes, but You Can Keep Your Jeans. Posted on May 10, 2018 by matthew berinato and tagged mother's day love notes more love notes greeting cards breathless paper co. love note challenge. Now that May is here and things have thawed, we're right smack in the middle of spring and we feel summer coming in full force. At Breathless Paper Co., spring and summertime means lemonade stands and playing outside barefoot... so what better card to be our Card of the Month? 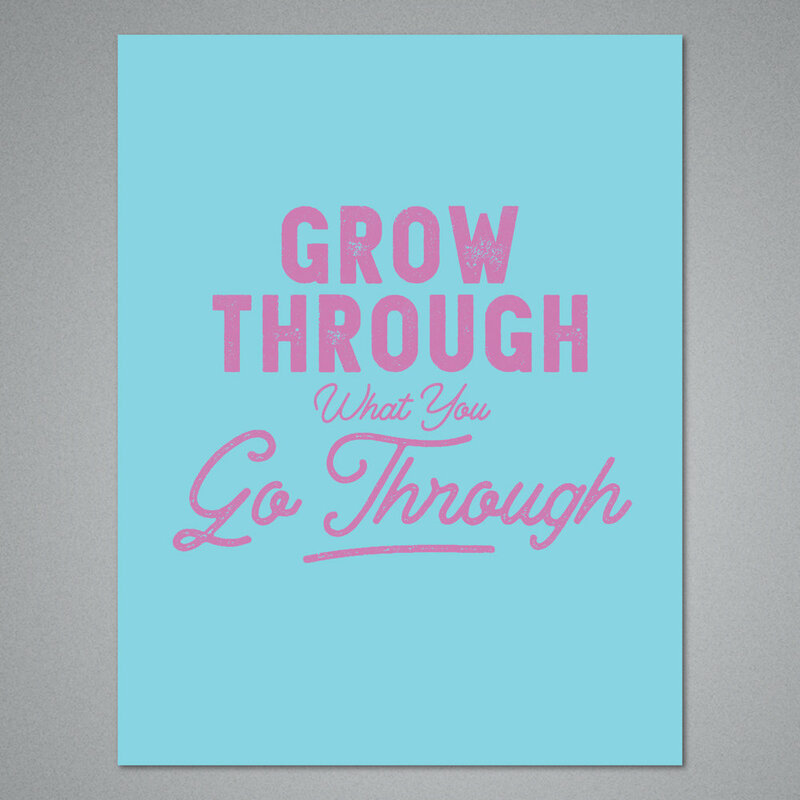 This card is one of our favorites from our original Breathless collection. It's not only bright and summery, it's a reminder to make the most of what you have and where you are. At its simplest, this card is also reminder to actually make lemonade -- from scratch, because there's something amazing about fresh squeezed lemonade when the weather warms. Life is about the little things. P.S. -- Don't forget to take part in our Love Note Challenge! We want to see the love notes you're writing, because we believe the world needs more love notes. Follow along on Instagram! Posted on May 2, 2018 by matthew berinato and tagged breathless paper co summer spring card of the month paper goods greeting cards.